999 Abroad is a collection of short-stories by Börkur Sigurbjörnsson. The stories are based on real events in the author’s life as an Icelander living abroad. Although the tales contain grains of truth, they are melded with fiction, making the reader curious to know the line between reality and fantasy. Börkur is an avid storyteller whose narratives are packed with funny dialogs and vivid scenario descriptions. The title of the book comes from Registers Iceland and refers to the values used for postal-code and town in the registration of Icelandic citizens living abroad. The book is illustrated by Yana Volkovich. 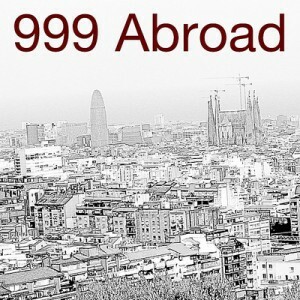 999 Abroad is available as a paperback at Amazon, and in ebook format at Amazon Kindle Store, iTunes, NOOK Store and Kobo.